Pat is married to Ruth, and they have three teenage children. When he is not working for the people of the East Clare Area, he farms at Dromaan House, Whitegate where his grandfather also farmed while representing all the people of Co. Clare in Dáil Eireann in the 1930/40’s. 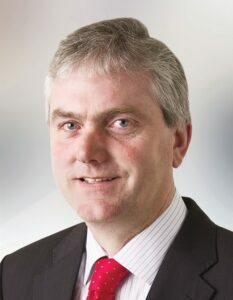 Since being elected to Clare County Council at his first attempt in 2009, he has worked tirelessly for the people of the Killaloe Electoral Area and looks forward to continuing that work in the newly extended area which includes parts of North Clare. If you have issues which you want raised please feel free to contact him. Pat was elected as Leas-Cathaoirleach of Clare County Council, for 2017-18.